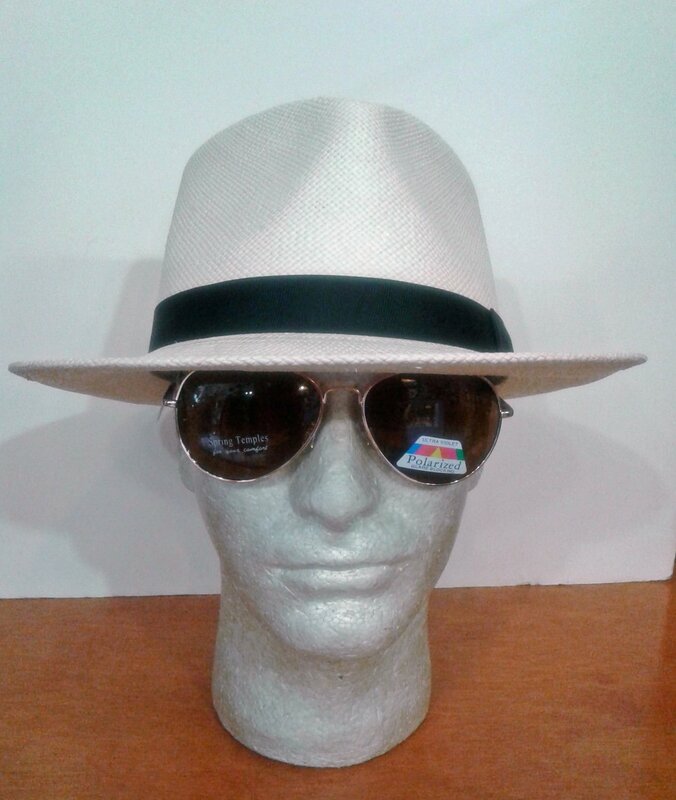 Hand-woven Panama Straw Fedora. Made by Stetson 2 1/2" Brim and 4 1/2" crown. Cotton sweatband. Black grosgrain trim.